This isn't camping, this is luxury Canvas Camping. 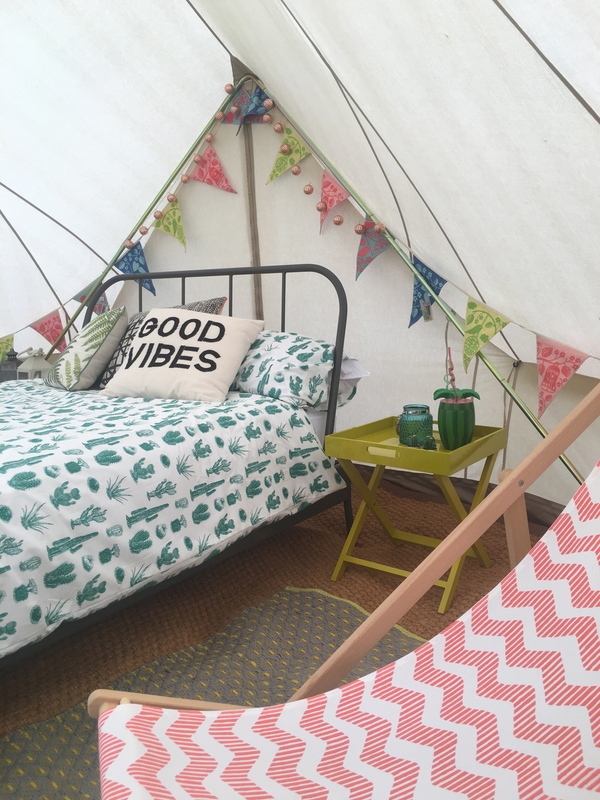 We have four glorious 6 meter wide canvas bell tents fully kitted out to make your stay as comfortable and enjoyable as possible. The tents are all named after our favourite local walks, Burrington, Ebbor, Cheddar and George (we ran out of gorges) all come with a double bed, log Burner, lounge area, vintage storage trunks, XXL Hammock, picnic table and outdoor cooking set. All bedding is provided and we can supply camp beds for children if needed. A full itinery for each tent can be found at the bottom of the page. As well as the main Tents we also have a provisions tent which has a fridge and freezer for perishables, games and outdoor fun for kids and a selection of local produce and food that can be purchased on site. We can also put together a food hamper for guests to get them going, these will be individually arranged and priced with the guests after booking to make sure we get it just right. A real double bed with a sprung mattress for a comfortable nights sleep. The beds are all made up so no need to bring any bedding. A log burner with a bag of logs to get you going for cozy nights in. A hammock for relaxing and reading. Lighting, rugs and floor cushions for comfort. A cool box for storage of food. An outdoor kitchen set with a HUGE grill pan for the ultimate fry up or a cosy evening fire and all the plates cutlery and glasses you need. Beds for children can be added to the tent as necessary. Storm lanterns and tea lights for evening light.